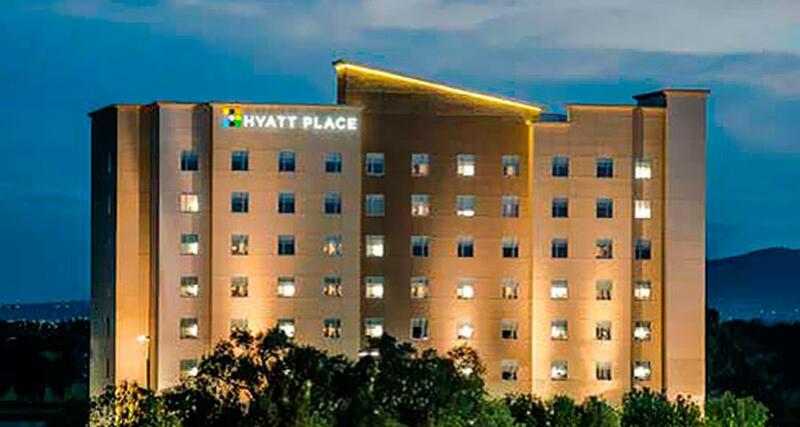 Hyatt Place Aguascalientes is a 4* hotel located in Aguascalientes, Mexico. It features 144 rooms and swimming pools. Hyatt Place Aguascalientes is a hotel with modern facilities, ideal for a business stay. It is located right in the heart of the most important industrial zone of Bajio region, near Universidad Panamericana and Plaza Bonaterra. The property has parking, a business center, an outdoor pool, gym, a meeting room, laundry and dry cleaning service, as well as wireless internet available throughout the hotel. When booking any of its comfortable rooms, you can enjoy convenient amenities such as air conditioning and television with cable service; everything you need to make your stay a truly pleasant one in Aguascalientes.